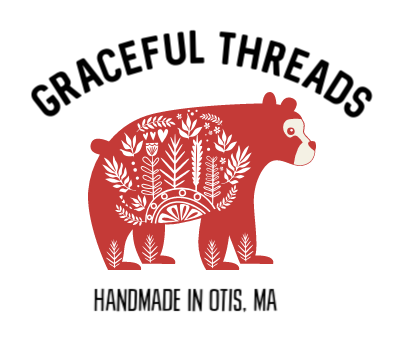 First, thank you for shopping handmade at Graceful Threads! We thoroughly enjoy providing you and your family with garments that are not easily found in brick and mortar stores. Turnaround time at Graceful Threads is 6 weeks. We ship sooner whenever possible but request that you plan on 6 weeks so that there are no misunderstandings. If you are a regular customer, you can help us by planning ahead and ordering as early as possible. Our busiest times of the year happen when seasons are in transition. You can expect wait times in late winter, late spring, back to school and early winter to be longer than at other times. In order to make ordering as easy as possible even in a rush, we have added a RUSH ORDER section for those who need something done quickly. Simply add all the items to your cart and then go over to the rush order section, add the appropriate rush order charge based on the total amount of your order and you are all set. Many of you like to know where you are in line and our best guess as to when your order will ship. Your customer code is the initials of your first and last name. Beside that you will see a date based on the six week turnaround time. It is extremely rare that we do not make our six week window and will contact you if an emergency has slowed us down. More often than not, most orders ship in about one month. If a customer below you has an earlier ship date, it is not because we are neglecting your order but simply that they have placed a rush order. Only custom orders appear here as fabric orders ship weekly. We hope this continues to be a helpful tool for you in planning. ETSY orders have their own unique ship dates and will ship by the date promised when you purchased your garment. Check your ETSY receipt for more information. Those dates can also be found below.